Chorley based Scorpion Automotive has been named as one of a select group of companies, chosen by the Department for International Trade (DIT) to act as an Export Champion for the Northern Powerhouse. The appointment is in recognition of Scorpion’s ongoing support in encouraging other companies to grow their international business through exporting and its contribution to the economic growth of the region through exporting. In fact, its global marketing strategy and delivery status of that strategy earned it the Northern Automotive Alliance (NAA) International Trade Award 2017 and BIBA Exporter of the Year Award 2017. 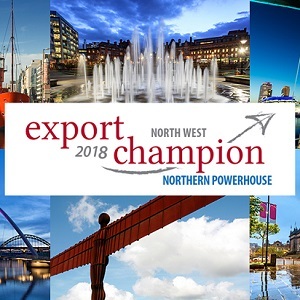 The Northern Powerhouse Export Champion scheme is an expansion of the Northwest Export Champion scheme launched by United Kingdom Trade and Investment (UKTI) in 2014 and under the banner of the DIT in recent years. The Northern Powerhouse is a concept to bring together the great cities, towns and rural communities of the North of England and Wales, to become a powerhouse for the UK’s wider economy. This is set to be achieved by improvement of transport links, a revolutionary new style of governance, and increased investment. The Northern Powerhouse forms part of the government’s industrial strategy which aims to build upon our strong economy and help businesses up and down the country seize the opportunities presented by the UK’s decision to leave the EU. “I’m enthusiastic about the opportunity to share the knowledge and expertise we’ve gained through exporting. Exporting may lead to a fundamental change to the way you trade so there are many risks as well as many benefits to consider. Scorpion already supplies an impressive list of vehicle manufacturers and aftermarket customers with sales in 16 countries spanning 6 continents. Companies looking for support from the DIT should contact 0333 320 0392 or email info@tradenw.org.